This is the man Republican presidential front-runner Rudy Giuliani thought was right to be the top person in charge of Homeland Security for the entire United States of America. Scandal-scarred former top cop Bernard Kerik turned down a deal with federal prosecutors that offered him less than two years in jail in return for a guilty plea to tax fraud, The Post has learned. 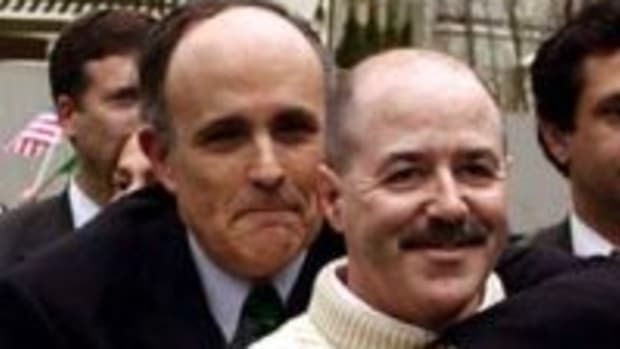 Kerik - NYPD commissioner under Rudy Giuliani, who recommended him for Homeland Security secretary in 2004 - rejected the deal when it was offered in the last few weeks, a law-enforcement source said yesterday. The case involves gifts Kerik received while in office, his Homeland Security application, a mortgage application and tax returns. I don&apos;t just question Giuliani&apos;s judgment of character, this flat-out disqualifies him for the job of president.